Since it's been a while,I got a mix of their popular items: chicken katsu, Hawaiian BBQ beef and BBQ chicken, all served with rice, vegetables, and macaroni salad. The chicken katsu was still nice and crispy, and they use only dark meat chicken for the BBQ chicken which is great for me. My favorite was probably the bbq beef, though. Ono is a no-frills chain that I wish would have stores in more states around the US. 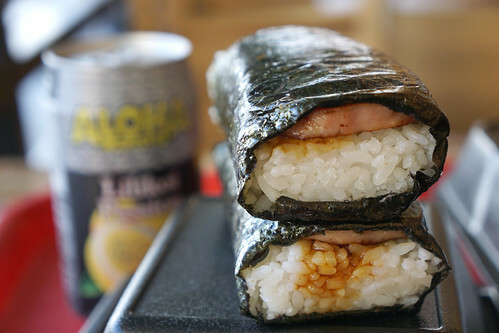 We all need some Hawaiian food every now and then!